Two for one golf - Play HALF PRICE GOLF at over 750 premier golf courses throughout UK and Ireland with GreenFree 2 for 1 Golf Vouchers. 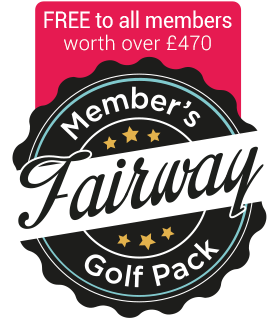 Your Fairway Member's Golf Pack includes 5 GreenFree 2 for 1 vouchers where you can enjoy HALF PRICE GOLF at over 750 premier courses throughout UK and Ireland. 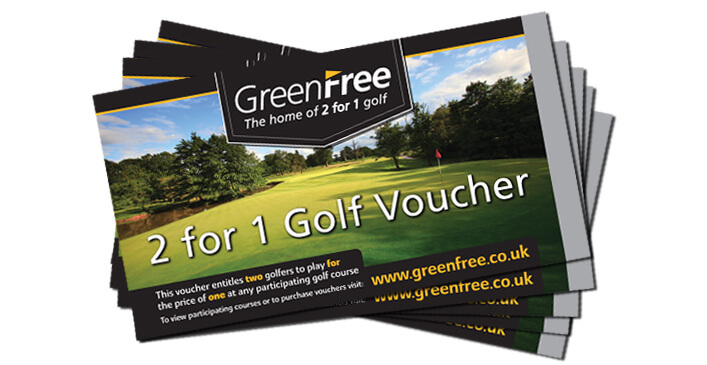 GreenFree 2 for 1 golf vouchers include only the finest courses that will satisfy those of you who relish a demanding test and appreciate playing in beautiful surroundings. With such a wide variety of courses to choose from, there will always be a quality course just 'down the road'. GreenFree includes world famous venues such as The Belfry, Fairmont St Andrews, Old Thorns, Mere, Gullane, St Mellion, Celtic Manor, and Ring of Kerry to name but a few.